Three dogs find their owners. No fewer than three recent arrivals found their homes today; two were dogs who are already well known to us as “runners”. Jaguar (aka Geo) belongs to a Russian lady, and when Melissa phoned her on Friday to tell her that her dog was with us, the owner was in Moscow! However she asked her brother- in-law to come and get the dog, so as of today he is back where he belongs. 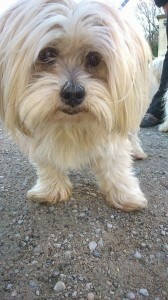 Second was Hercule, who is a SPA regular. 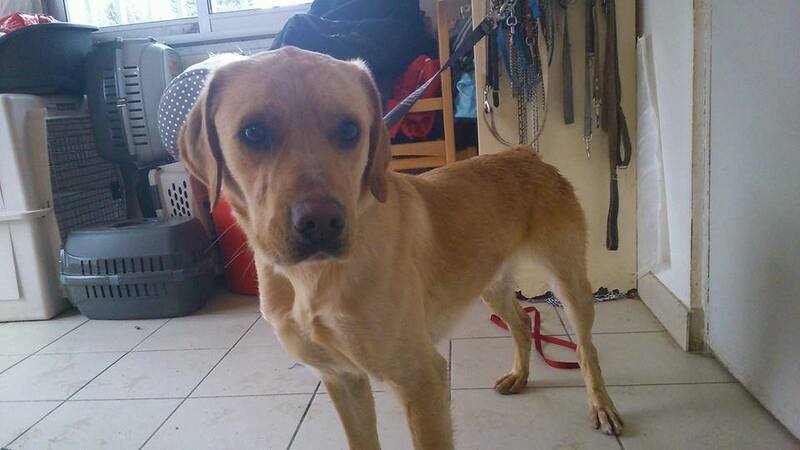 He was found wandering on the Pont Vieux by Lucie, one of our supporters. She brought him to the SPA this afternoon and then delivered him back home. It took a bit of time, as the owners were out looking for him, so Hercule spent some of the afternoon playing with Lucie’s ex – SPA dog, Harley. Oh, the joys of identified dogs! 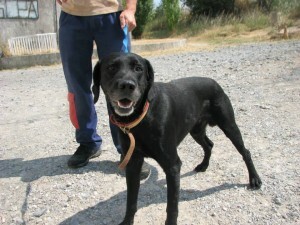 The third dog to leave was Joanna, who arrived on Saturday. 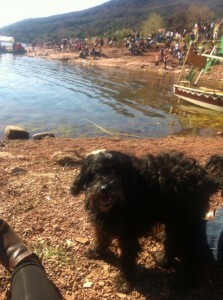 Her real name was in fact Tika, but we didn’t know that, because she was not identified. (No comment). 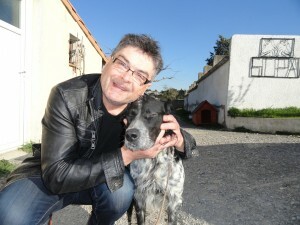 One of our most loyal supporters, “vide-grenierist” extraordinaire, Fred, lives in Quillan, and it was he who emailed us to tell us that one of his French neighbours had lost his dog. 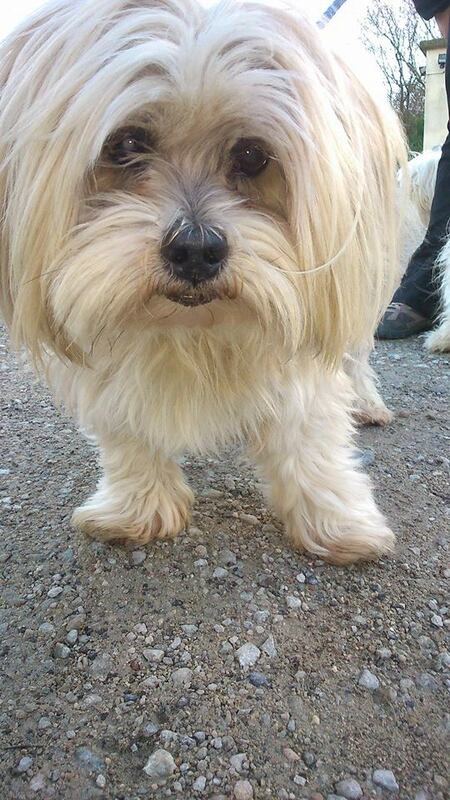 We asked for more information, and as soon as the photos arrived, we knew that Joanna had found her owner. Excellent news! She is now identified, of course! So thanks Fred! I don’t think the owner had thought of contacting the SPA! So a day of reunions. We did have a new arrival, and I will try and take pictures of him tomorrow and see if we can find his owners, or maybe a new home. Jaguar- owner in Russia arranges for dog to be collected! News in pictures and pictures in the news! The refuge was shut today, but we still made the news, albeit briefly. The report on Charly was transmitted as promised, but the 2 hours the film crew spent at the refuge was condensed into about 2 seconds and despite our pleas, no mention was made of the need (and legal obligation) to identify one’s animals. Instead it turned into a human (or rather canine) interest story, but of course that is better than nothing at all. And from our point of view it was wonderful to see actual video footage of Charly with his family, rather than the photos we have had up till now. Here is the link, and you can see Charly at about the 12 minute point. You have to put up with a lot of advertisements first though! Just talk amongst yourselves while you are waiting! And that is not the only news we have of recent adoptions. 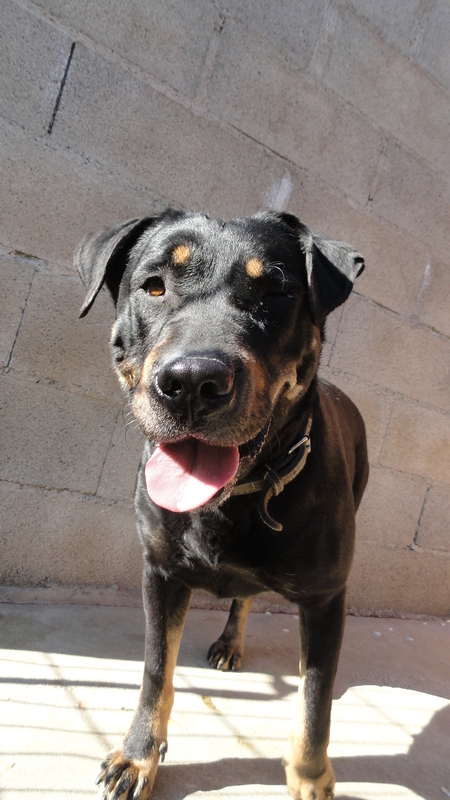 Take a look at this photo of Onyx (now renamed Tuche). He has become a prize winner, but for equestrian events. That leaves me a bit puzzled, as although he was almost as big as a Shetland pony, he is still a dog. Doesn’t he look great, though? 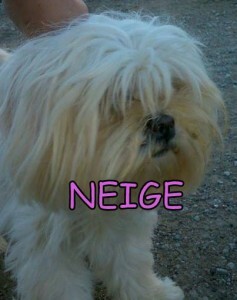 And here is a photo of little Neige, adopted just this week. 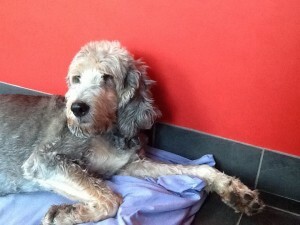 She was one of Charly’s sisters, remember, and now she has had a bath she is looking even more beautiful than before! 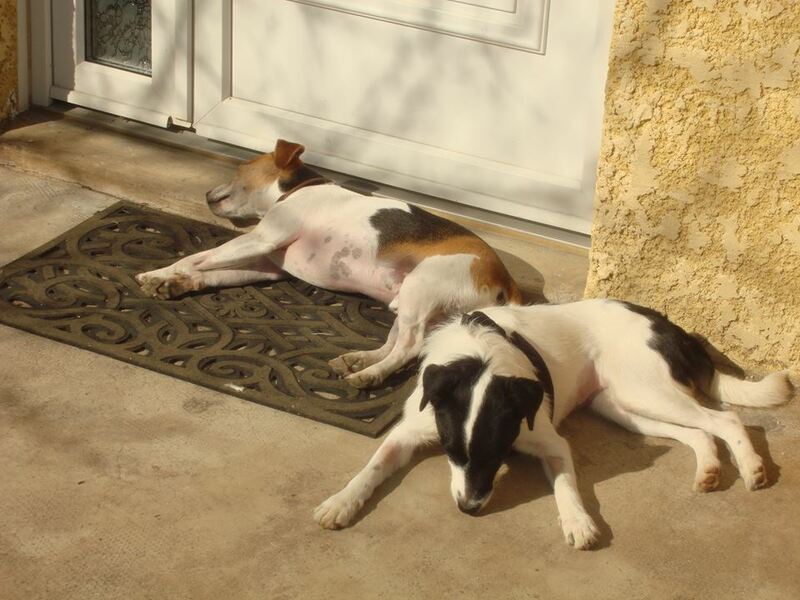 Finally, look at Clara, lying in the sun with her new pal, Jackson. With two terriers there was bound to be a couple of minor squabbles at first, but it certainly looks like peace has broken out now! As I have said many times, we never get bored of hearing stories of our former “inmates”, nor of seeing photos. If you would like to see your dog in our Facebook album “Life after the Refuge”, just send us a picture and let us know if it is for public release or just for us. And if you would like to do a guest blog about your experiences of adopting from the SPA Carcassonne, you would be most welcome to do so. Moira and I are always happy to hand over the reins on a Sunday, so this could become a regular feature! You may recall that last week we had a dog brought in wearing a prong collar. Gizmo was lucky to the extent that his fur was sufficiently thick to protect him from the spikes. 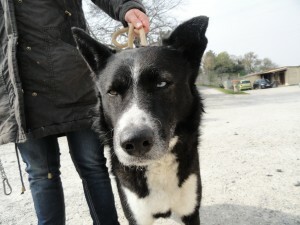 One dog who was not so lucky was Prosper, who arrived in June last year, with horrific injuries to his neck. He had to have over 20 stitches to repair the damage. 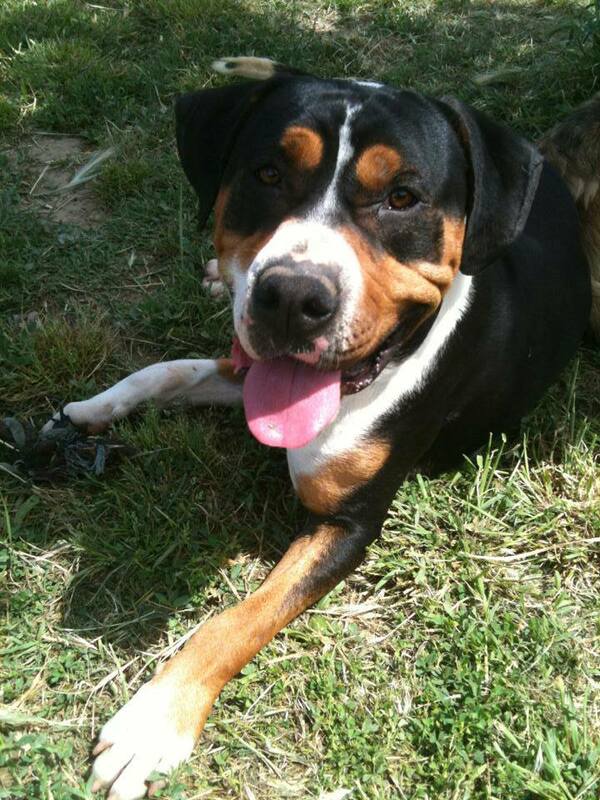 Since this time he has been sharing his kennel with both males and females, and has patiently awaited his chance. And today was his turn! This followed a visit on Thursday by a couple looking for an older dog to be a pal for their aging labrit. 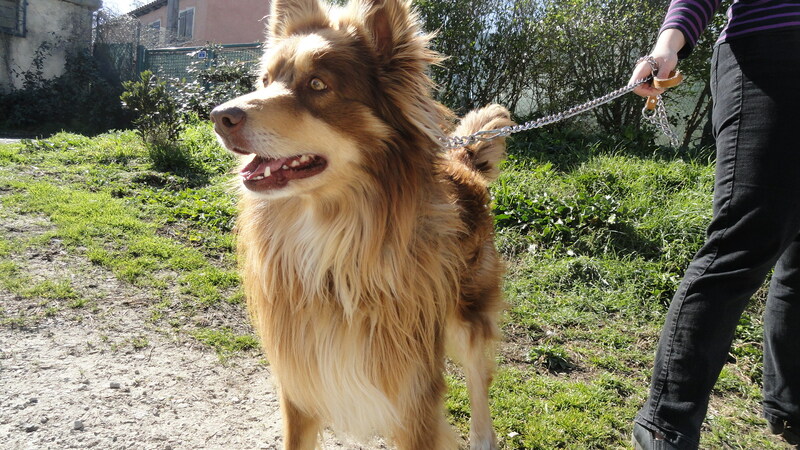 They fell in love with Buffalo, but sensibly, in our opinion, decided to take an older dog as they themselves are not in the first flush of youth, and felt that it would be unfair to adopt a dog of two years old. So they returned to their original choice of Prosper, and after a small snip this morning (goodbye family jewels! ), Prosper left with a no- pull harness generously donated by Moira. Apart from the volunteers and employees, I know of at least two people who will be happy at this news, Propser’s official “ sponsor”, and one of Prosper’s former neighbours who has been sending us a direct debit to help with his costs. Oh, and his new owners, Jim and Chris too, of course! In other news, Blanca’s new owners reported that everything is going well. She was calm and clean overnight, so I have no idea what the heck went on in her last home, but it looks like she is much happier with her new family. A dog who arrived yesterday left with her owners, which is always good, and we are hoping to find the owner of today’s new arrival, who if we have read his tattoo correctly is called Weed! Apart from that, there were plenty of walks so thanks as ever to everyone who came along to take the dogs out for a stroll and take photos of them to add to their albums on Facebook. Several people have asked me, so for those of you who are interested, the TV report on Charly will be on tomorrow on Channel M6 (Toulouse) at 12H45. 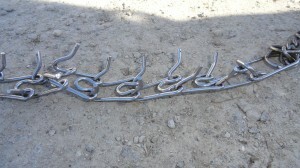 Injuries from Prosper’s prong collar. This is why we don’t like them! As Charly’s rise to superstardom continues (he will be on TV on Sunday, along with his owners and some SPA personnel, who were interviewed today), the future of his “brothers and sisters” is still playing out. Little Neige left today, all fresh from her sterilisation, and the oldest of the four dogs, Tim, is reserved too. He is just awaiting the date when his new owners are ready to receive him; not long to wait now, little chap. In the meantime he has a pretty kennelmate who will go with him to his new home! 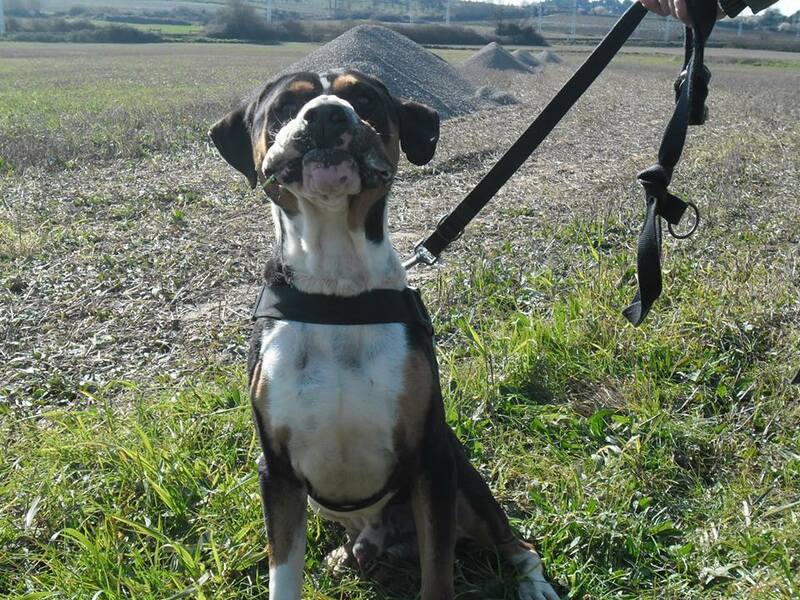 Regarding Charly, there are people who are determined to see the negative side of every situation and think that Charly’s fame will result in his owners deciding to breed from him. Can I just be clear that a) they are far too responsible to do any such thing and b) Charly is castrated. We have quite enough misery already without having people try and show a negative side to what is a good news story. Yes, it is fine to be cynical, but we deserve moments of happiness too, please. In other refuge news, here is a name you have heard before, at least three times. Once when she first arrived, once when she was adopted (to much joy), and once when she was brought back 2 days later, (to much less joy). 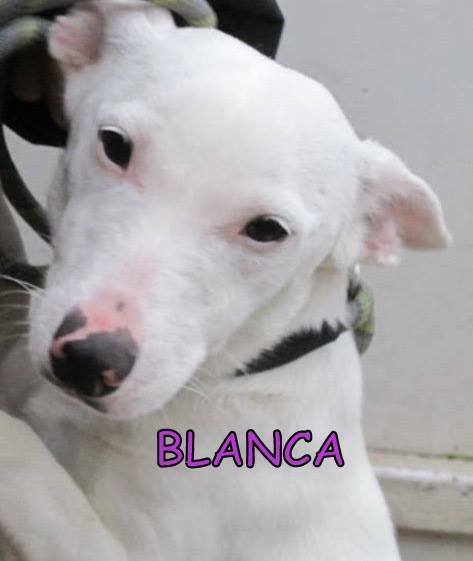 BLANCA! Yes, our little deaf girl finally found a home today. And it is with the parents of great friends and supporters of the refuge, so we are confident that all will be well. Or at least that if help is needed that it will be asked for and acted upon, and Blanca will not just be brought back like a discarded sock. And better still, we will have NEWS! This evening we held a meeting of the Board of Directors of the SPA. This fixed the date for the AGM (23rd May 2014) and for all of you who were members in 2013, you will be receiving notice and proxy voting forms in due course. If you would like to become a member, it costs 26 euros a year and means you can have your say as to what happens at the SPA. Get in touch if you would like more details about this, which counts as a charitable donation and therefore is deductible if you make a French tax declaration. Win win! We had one arrival and one departure at the refuge today and lots and lots of walks. The sun was shining and the volunteers, mostly British, it being a Thursday, were out in force. In fact I had to laugh; a gentleman phoned up and asked if it would be possible to do a two week work placement at the SPA. He has just finished an English language course and had heard that the SPA is a great place to practice speaking English! It is true, we do have a lot of British volunteers, and adopters too. But today’s adopter was Italian. 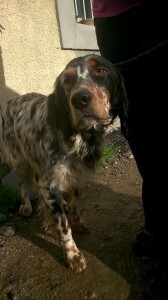 He had visited the refuge yesterday and fallen in love with one of the beautiful setters, Barbour. To be honest, had I been asked to place a bet, I would have expected Hunter to leave first. But as I have said on numerous occasions, it is a good thing we do not all have the same taste in dogs! So Barbour left the refuge, leaving his brother behind. You may recall that the owner of these two boys came to collect them, but refused to agree to have them identified. It only took six weeks for the first of them to find a new home. Let’s hope Hunter leaves soon, too. The new arrival is a lovely girl, whom we have named Joanna. She has an ulcer in her eye, for which we are treating her. 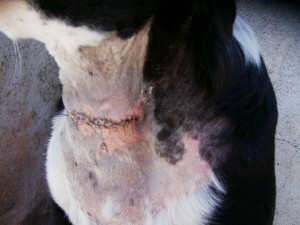 She is a young dog, born in Jan 2013 according to the vet’s estimate (should we call this a Vestimate?). And guess what? She is not identified. 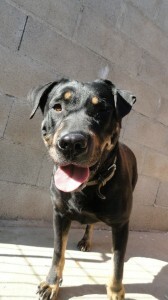 Let’s hope her owner comes to collect her, but if not, someone else will, as she is a gentle affectionate girl. So numbers stay the same, but good news for Barbour! 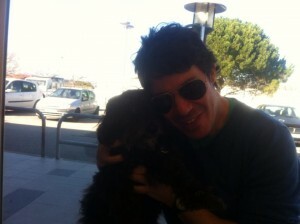 Charly hits the headlines and Mojo waves goodbye! The Independent came up with the goods and did a lovely article about Charly, which the French speakers amongst you can read below. Front page, no less! Personally I will never get bored of reading about this story, it is a real morale booster. Several other newspapers, radio stations and even 30 Million Amis have been in touch with us, all of them wanting to talk about Charly! Good job he is so photogenic! Here he is, by the lake on Sunday. 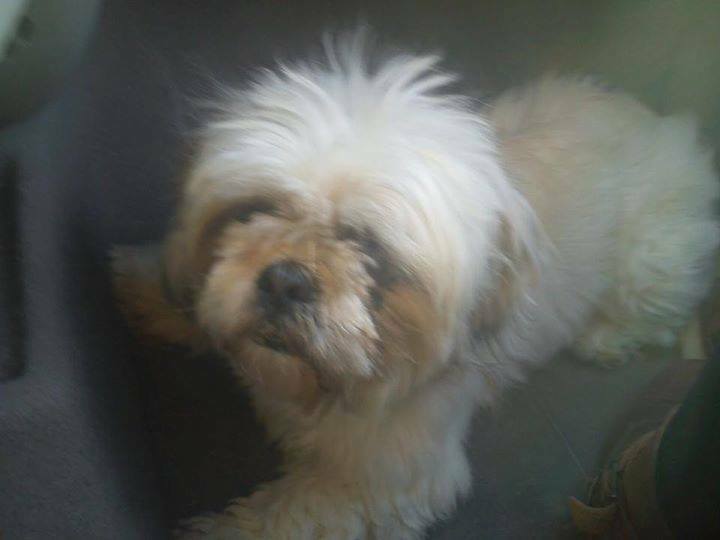 The little shih-tzu who was found on Monday (unidentified) and brought to the refuge was reunited with her owners. 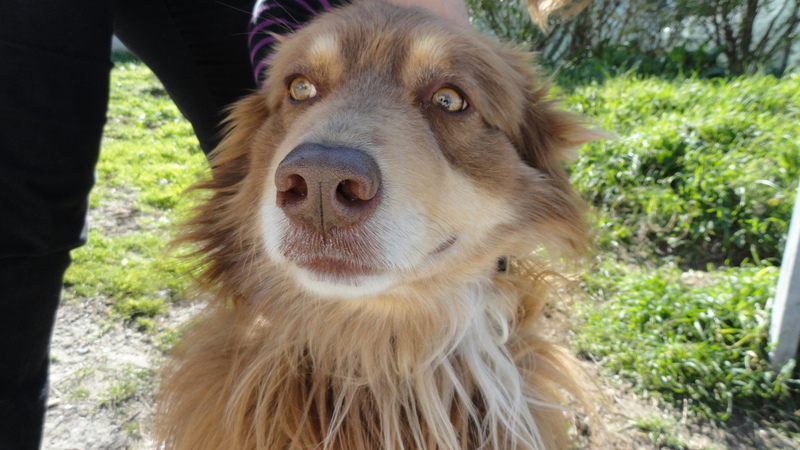 She is now identified and I am once again wishing that I had a euro for every time an unidentified dog arrived at the refuge. Charly’s story should act as a lesson to everyone, but lots of people would rather save a few pennies and take the risk, sadly. And there is yet more good news from the refuge. One of my favourite dogs, Mojo, was adopted. 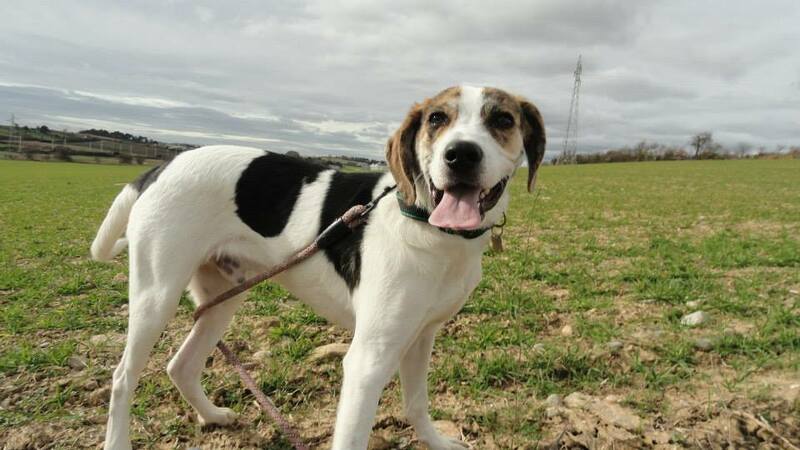 You may remember that this lovely young dog was brought into the refuge by two kids, with their mum courageously remaining outside in the car. They told a tale of how the dog had been found by their father and given to them against the wishes of their mother. He must have had an owner before that, or maybe he was a Christmas mistake, but in any case we are glad that he will not do all his growing up at the refuge. 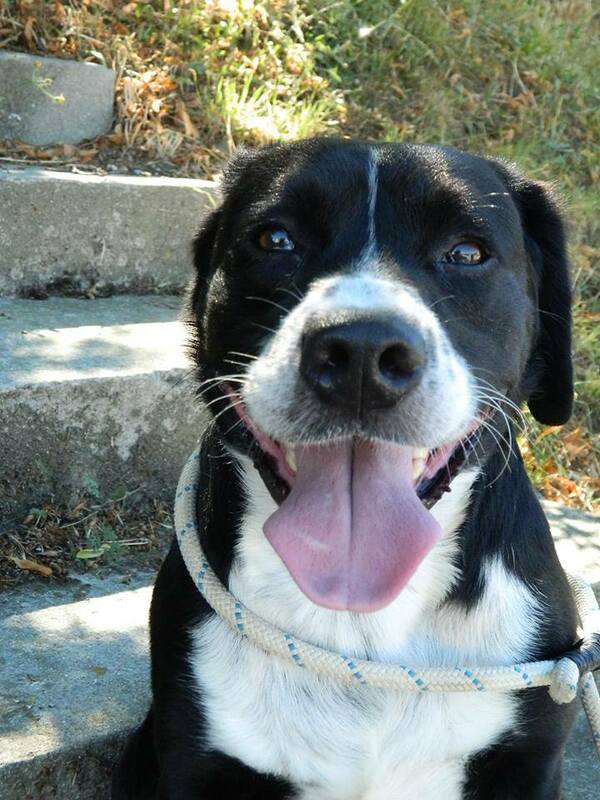 There were two more reservations, and only one arrival, a female border collie, so today was yet another good day! Today we had two wonderful adoptions. First of all, and completely out of the blue we said goodbye to Storm. Seven years old this month and at the refuge for almost a year, this lovely boy has finally found a home. He has been a favourite with the employees and volunteers alike, due to his good nature but also due to his incredible ability to pull funny faces. 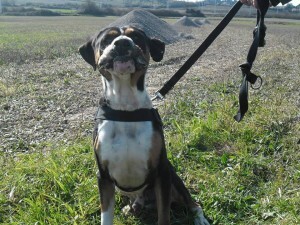 The photo of him below was taken last weekend and shows him doing his famous Popeye impression! Not his best look, but how can you not smile at this dog? The family who took him just fell in love on the spot, so it was off to the vet to be chipped and away he went, running out of the refuge gate with his new young master, leaving slobbery kisses in his wake. 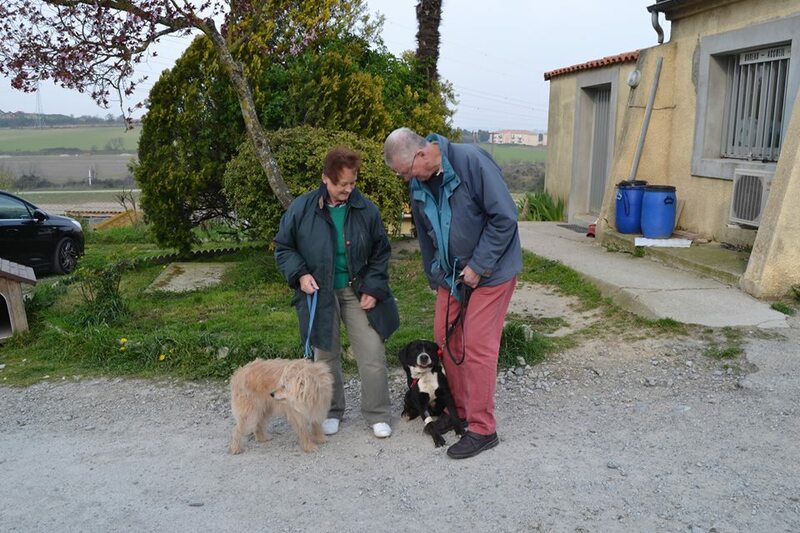 He will be missed by his kennel mate Tina, whom he has turned from being a terrified bag of nerves when she arrived to the well socialised and homeable dog that she is now. He will also be missed by a non-canine, Melanie, who cried when she heard the good news. Aren’t we a bunch of softies at the SPA? We want them all to find homes, but we want to keep them for ourselves as well! The other adoption was that of Axel. Now here was a dog who was not at all easy to home. He arrived at the end of October, badly injured after what looked like an unsuccessful attempt to dock his tail. His rear end had been cut off, and was badly infected, so he was rushed straight to the vets. Had he not been brought to us, it is unlikely that Axel would have survived. 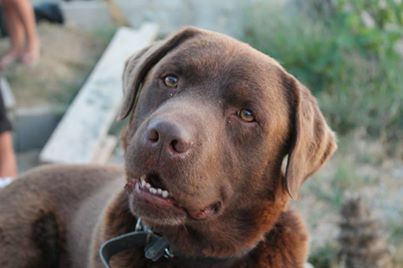 He has done a lot of growing up at the refuge, and we have Kawa to thank for much of that. 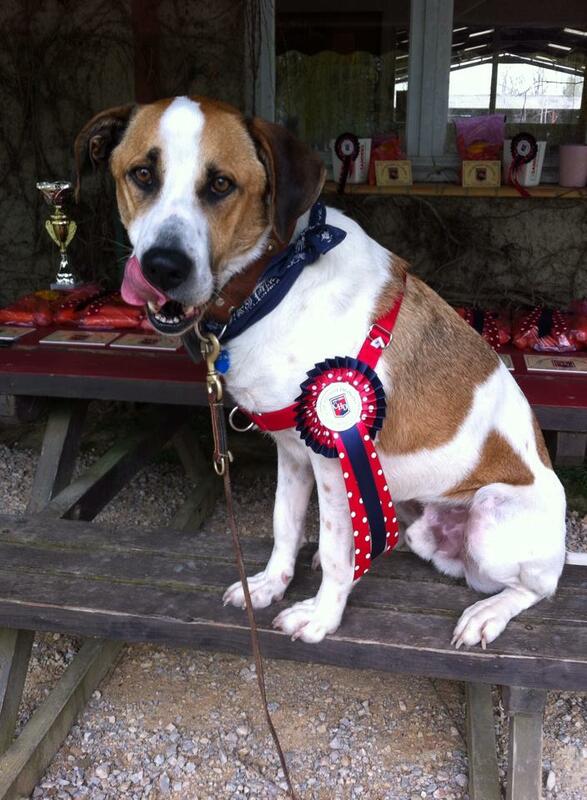 However he is still a very lively dog, so would need a sporty energetic owner. And that is exactly what he has found. Several meetings have taken place and today was the day. Axel was identified and left the refuge! In other news, a local newspaper has picked up on the story about Charly’s reunion with his family, and so he really will be a superstar. The hope is that it will encourage more people to identify their animals. There were a couple more reservations, too, so keep following the blog for more good news! 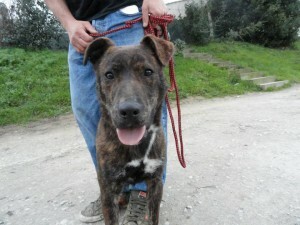 And lucky Axel finds a home. Who needs a tail? Not me! Gizmo’s owner has second thoughts and Colette is adopted. Not exactly a first for the SPA, but I can probably count the number of times this has happened on the fingers of one hand; the owner of Gizmo, who abandoned his dog on Saturday as a result of a divorce, came back to collect him today. I was not there, but apparently he said that he missed the dog more than he misses his wife, and could he have him back please. I am sure that a few of us can relate to that! 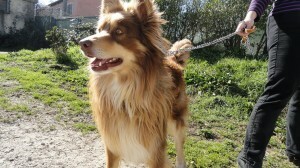 You will know from Saturday’s blog that Gizmo was the beautiful Australian shepherd who arrived with the pronged collar. At the time the owner claimed that the dog pulled, hence the collar, and even though he was leaving the dog behind we did not pass up the opportunity to tell him how cruel pronged collars are and that there are much better alternatives. The collar was immediately thrown in the bin, so I am hoping that the owner will have listened to our admonishments and that Gizmo’s days of being restrained by his neck are over. A nice, padded anti-pull harness will do just as good a job. Great news for Gizmo, of course, although he would doubtless have found a home quickly. 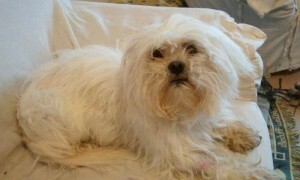 One of the now famous Charly’s sisters, Colette was adopted and we had two more dog reservations. And a lovely chocolate labrador (already identified) was notified as missing this morning and made a brief appearance before being reunited with his owners. 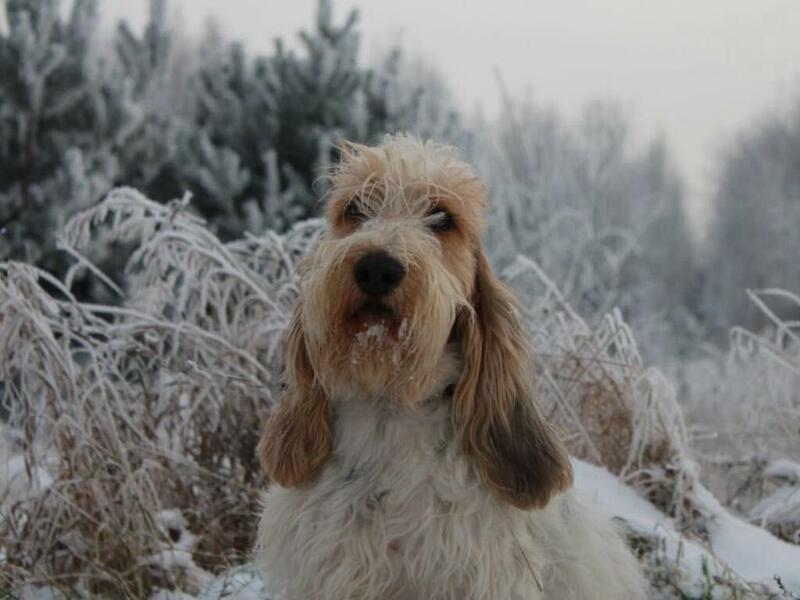 The next story has nothing to do with the SPA, but as the appeal was on our Facebook page, I thought we should pay tribute to a beautiful dog, who was sadly killed on a road yesterday on her way back from Crufts. The multi times champion, Panda (real name “Black Majesty Saint She Ain’t “Panda”) was on her way back to Poland when she escaped from the car in which she was being transported whilst just outside Calais. This sends a shiver down the spine of everyone who has ever helped to deliver a dog; it can happen so quickly, especially with nervous dogs and it is a tragedy that any dog should die in this way, let alone such a fine and beloved specimen. Thanks to everyone who shared the photograph and tried to help. This time there was no happy ending. On a much more upbeat note, we would like to wish a happy birthday to Yessa, ex of the SPA. She has been living in the UK with Phil and Anita since July 2012 (in fact they were the ones who found her while they were here on holiday) and today is her 11th birthday. Not bad for a big girl who spent most of her life as a hunt dog! Now that is the kind of ending we DO like! 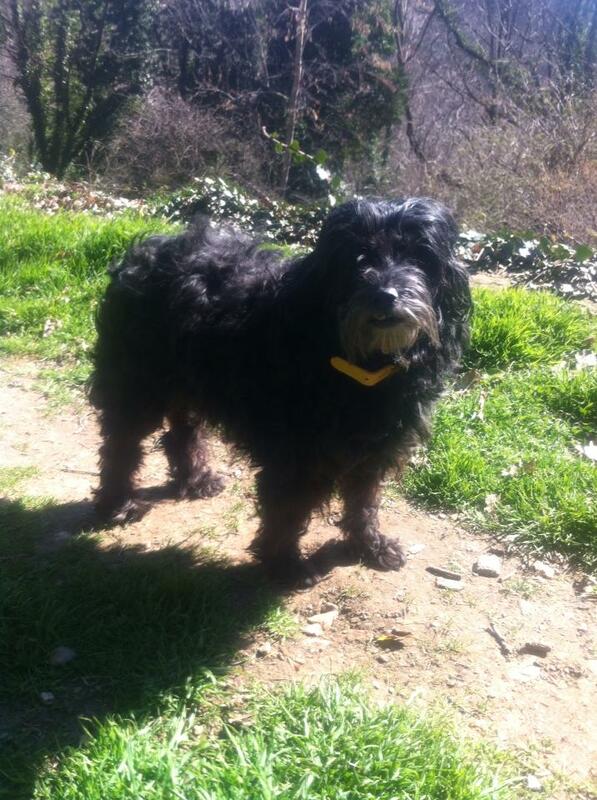 And happy birthday to Yassa, 11 years old today!